In years gone by, when people mentioned motorcycle touring, it would conjure up images of the big BMW’s, Honda Goldwing’s or large Harley Davidson’s, all with King and Queen seats, big fairings and large luggage boxes. But over the last decade this has changed and these days, adventure travel on dual sport bikes has become very popular, with the large BMW GS1150’s and GS1200’s being very common, after a couple of now well-known actors done a couple of long trips on them, but other manufacturers are doing better now like Triump with their Tiger range of bikes. However, you can tour on just about any motorcycle really, though the engine size (and seat) may restrict how many miles you do in a day, but none the less, touring can be done on anything from a Honda C90 to a fully dressed Harley Davidson and anything between! 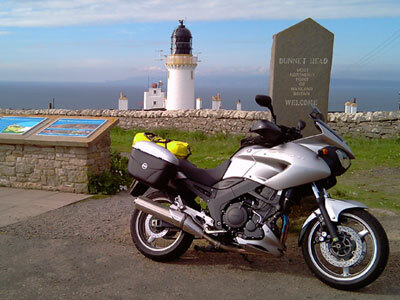 If you are new to motorcycle touring, then I would suggest you start with some long weekends away in the UK, or even venturing over to Northern France. To start with you will pack too much, not use or even need half of it, but with experience you will learn what is best for you. We all have different levels of comfort so whilst some say they go with just one change of underwear and a toothbrush others may want to take more just to feel a little more comfortable. Here is a useful website with information on Proper Motorcycle Packing plus loads more advice. Once you get the bug for it, you will want to go further and if you are not confident or find organising it yourself a pain in the backside, then go with an organised group such as MCI Tours which have been running escorted and self-guided tours for over 20 years in various countries around the world. Adventure tours are becoming increasingly popular with the recent surge of adventure bike sales, so if you want more adventure in the tour then there are now many companies offering this too. One such long established company is GlobeBusters run by double world record holders Kevin and Julia Sanders. They offer a great variety of trips from a 12 day adventure tour all the way up to a 20 week expedition, with lots of other options in between. Check out my web page on Adventure Motorcycling. For us bikers in the UK, Europe is just over the channel and you can travel by ferry or the quicker option of the Euro Tunnel making France and it neighbours a popular place to go. Of course, the British Isles has much to offer the biker too, especially Scotland and Ireland that both have stunning scenery, all be it the weather is not always so kind. Some of my favourite places to stay the other side of the channel are; Orchard Farm in the Somme region of Northern France or Two Wheel Moorings which is a little further South East in France. Over the border in Belgium you have AE Adventures which is very popular with bikers wanting the Nurburgring or Spa Francorchamps circuits. Then in the spectacular Black Forest region of Germany is Pension Williams which is ideally situated very close to the famous bikers road, the B500. 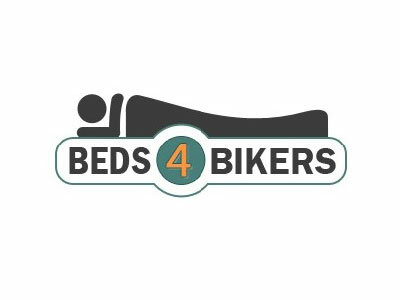 All these places are Biker friendly and run by English hosts that really make you feel welcome and have good knowledge of their local area, plus they can advise on the best local biking roads too!